Portable laundry has been making waves for the past few years as an economical solution to unique living spaces and conditions; in 2017, portable laundry comes full cycle as one of the biggest emerging trends in home appliances. The question is, are you in? Like you, he’s busy with work-life demands. With a top-floor condo space, Dave doesn’t have the time to pack his clothes, take them to the washing machines – which are probably in use anyways – or to the laundromat down the street; which requires him to get his laundry there in one piece, spend money on the machines, and wait for it to be done to then bring the load back to his place. His story is similar to that of Ellen, a 41-year-old mother of two living in Findlay, Ohio with her husband (and her beloved terrier, Bones). Life is hectic with the demands of four children, let alone her work as a teacher with varying hours, and tending to house chores – especially with the small townhouse that they have. As a supply list teacher, Ellen’s job changes frequently; the family moves around quite a bit, making for a constant on-the-go lifestyle. The kids love it, but when it comes to appliances and other investments – Ellen wishes things could be as easy. Brian, a 35-year-old project manager working out of Austin, Texas, has slightly different problems – namely choosing when he should take a vacation with the family and head to the cottage up North! During the end of summer, Brian loves to travel a few hours up north to the cottage with the family for some well-deserved rest and relaxation. He always brings the BBQ, coolers, and all the other essentials needed to stay at the cottage for his vacation time – but one of the big problems he has is having to always drive out to the city to do laundry, costing him gas and laundry money – but more importantly time he could be spending with his family at the cottage! Portable washers and dryers provide the convenience of non-portable machines for doing laundry on a whim – with the same power you’re used to. 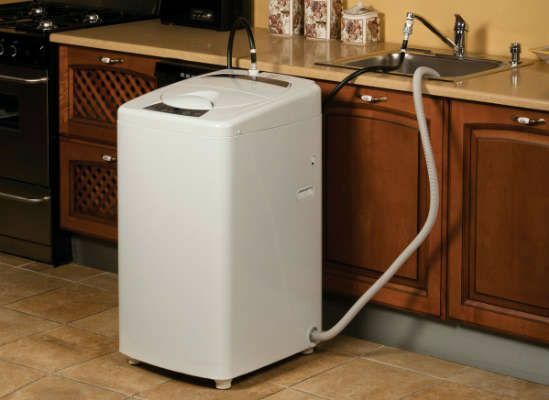 A compact, lightweight clothes washer is perfectly designed for small households and living spaces – whether that be a townhouse, condo, etc., portable washers save space in important places. 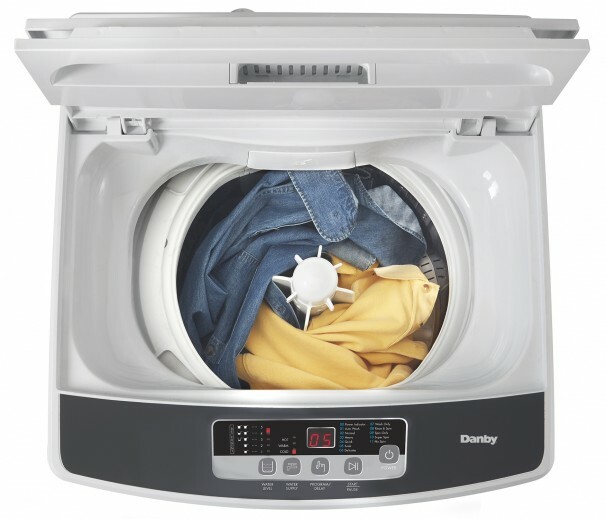 For example, take Danby’s portable washing machine: it can wash up to 9.9 pounds of clothing with a full-length agitator and 1400 RPM spin cycle, with overflow protection and a featured safety lid for a perfect wash from start to finish. In addition to saving space, portable laundry will also save you money normally spent with expensive laundromats, potential travel to laundromats, and money wasted with older laundry machines that overflow, keep spinning after the cycle is finished, and use more resources than needed for a full cycle; Danby’s full-length agitator is energy-efficient, and helps to save on all fronts. Speaking of saving, portable laundry will help save you something more important than money and space – it’ll save you time spent monitoring your laundry to ensure there’s no overflow or continuous cycling after washing, and will save the time you normally spend dragging clothes to your laundry room – or worse, your laundromat. Time that you can allocate to the more important things in your life, while your laundry takes care of itself. Fact: The average portable washing machine holds an average of 9 pounds of laundry – even up to 12 pounds of laundry, based on your specific washer type! Doesn’t Require A Permanent Water Line! With a portable washer or dryer, you have the flexibility of moving them wherever is most convenient for you! With Danby’s portable washer, not only does laundry never seem like a chore – but a convenient pastime, since the quick connect attachment fits most standard faucets so there’s no need for direct plumbing and the built-in castors ensure easy portability. The safety lid also halts the machine when opened, ensuring water stays where it should while you’re in other rooms; you can trust that your laundry will get done where, and when it should – whatever your situation might be. At the cottage? Constantly traveling for your job? Like Ellen’s story, there are many of us who are constantly on-the-go – some, more than others! For those who constantly find themselves in different living locations, portable laundry is the way to go; with no need for direct plumbing and built-in castors to machines, portable washers are convenient for a variety of living spaces with minimal requirements – essential to help save time and money for those constantly on the go! If you’re looking to make a smart, economical move for 2017 – think about portable laundry, and think Danby for the most effective options at the least cost.